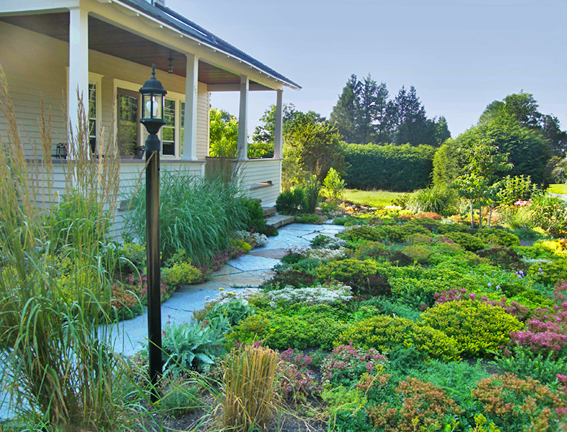 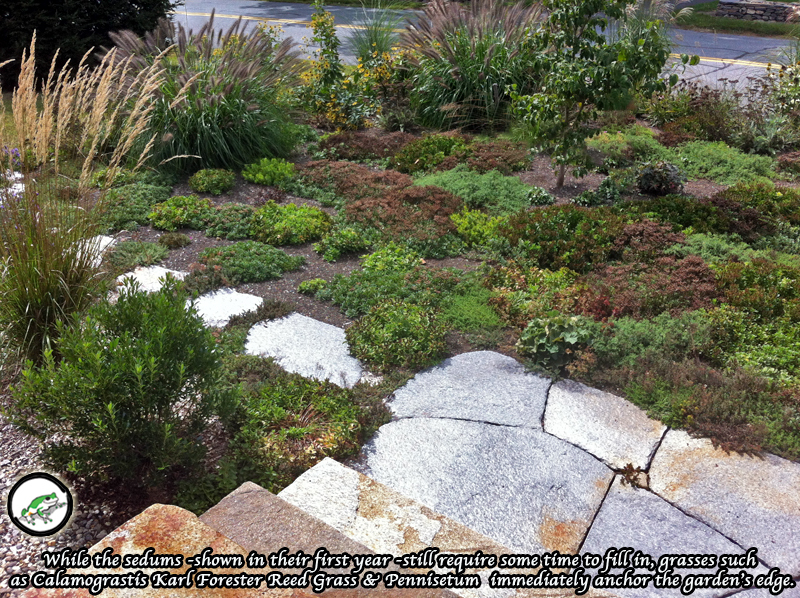 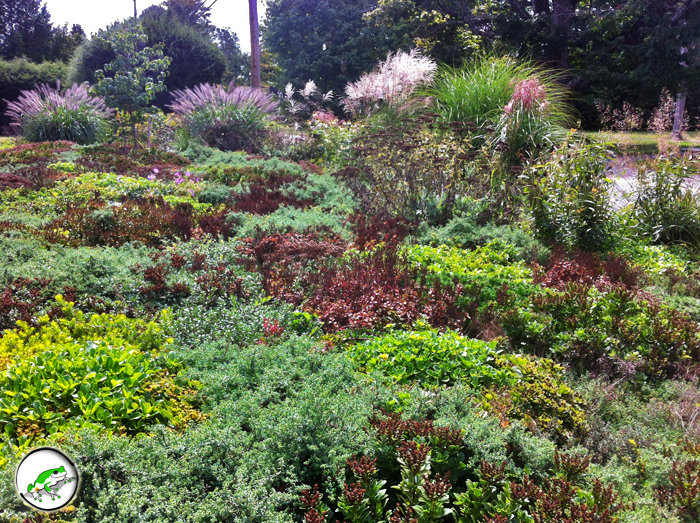 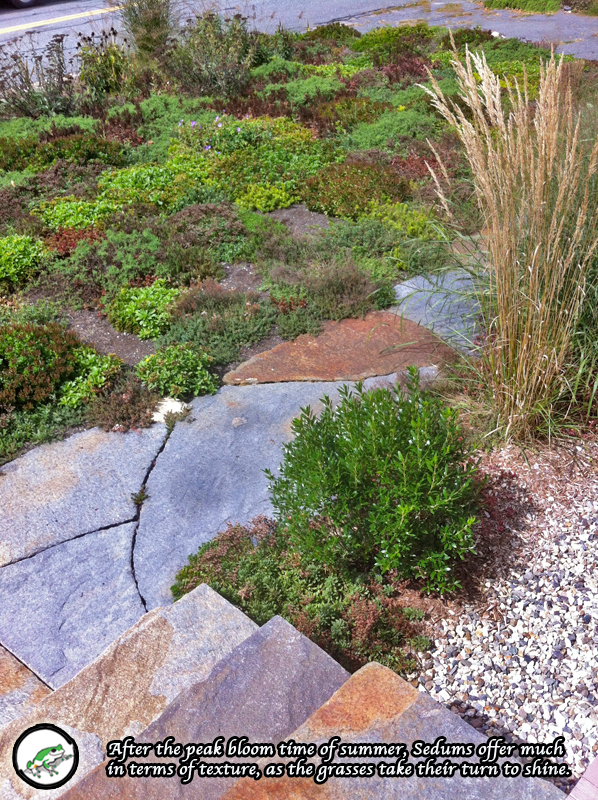 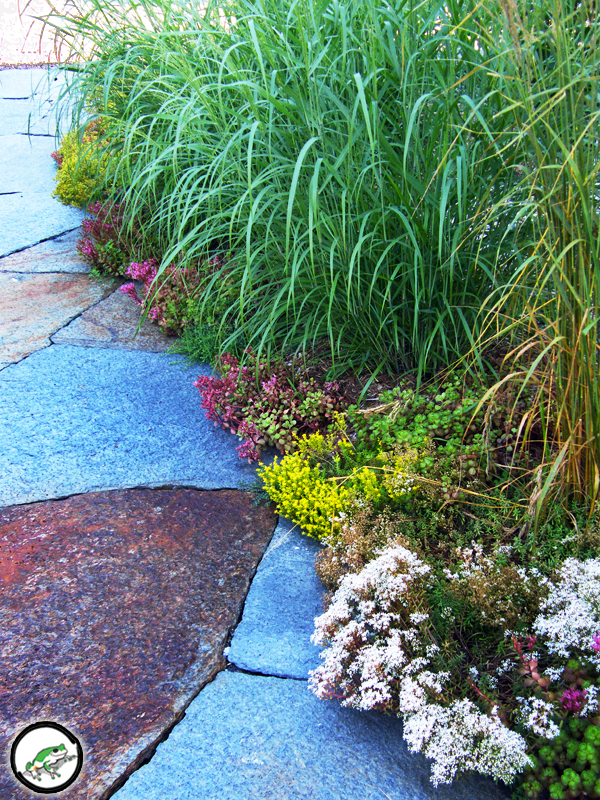 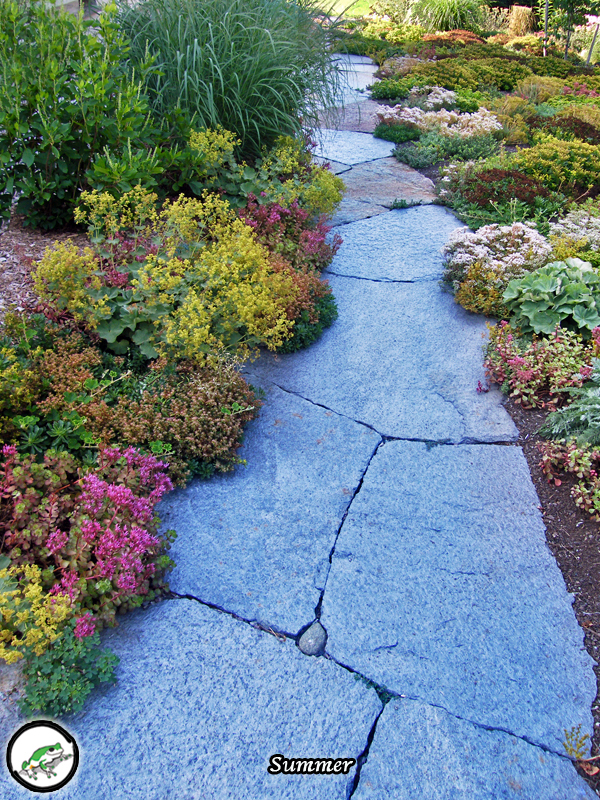 Sedums and sun loving perennials are a beautiful lawn alternative. 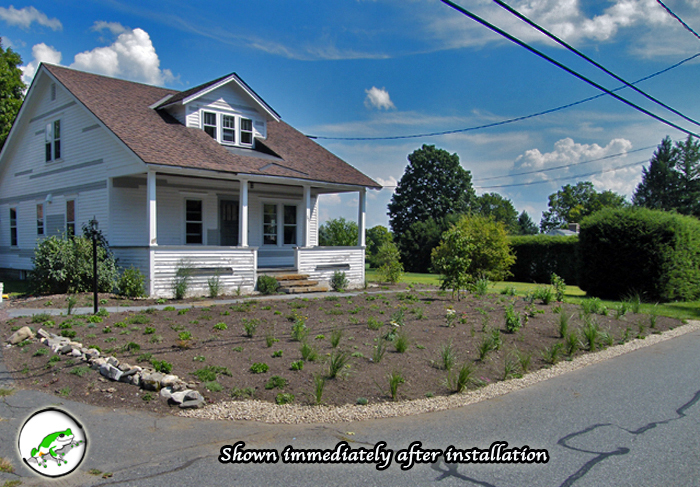 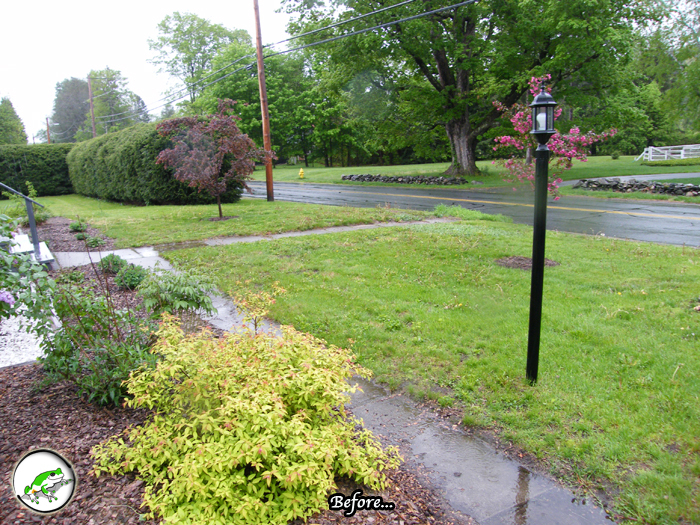 We used these plants to replace this front lawn entirely. 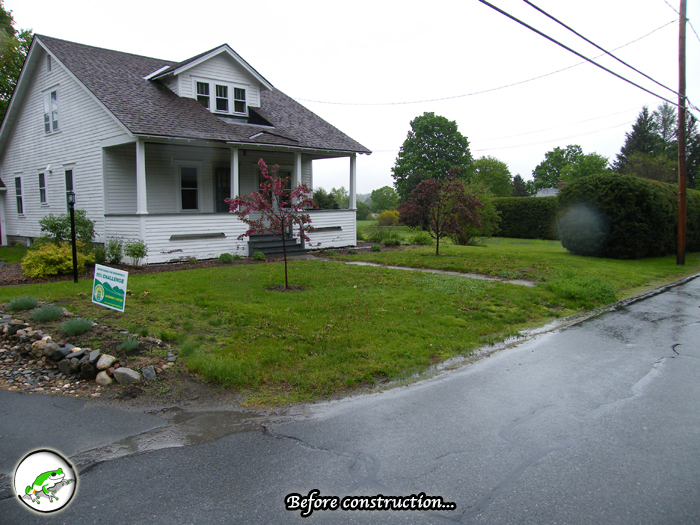 An old concrete walkway and stairs were removed. 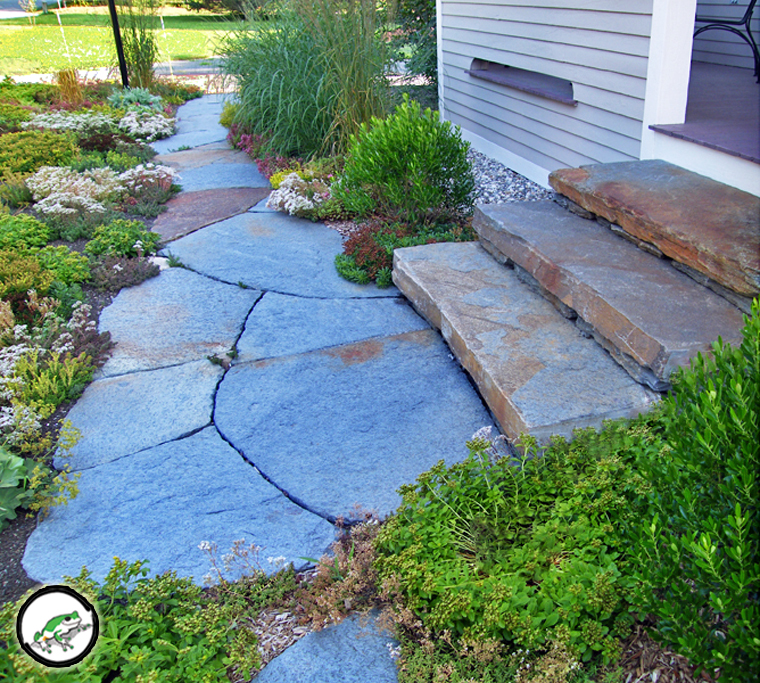 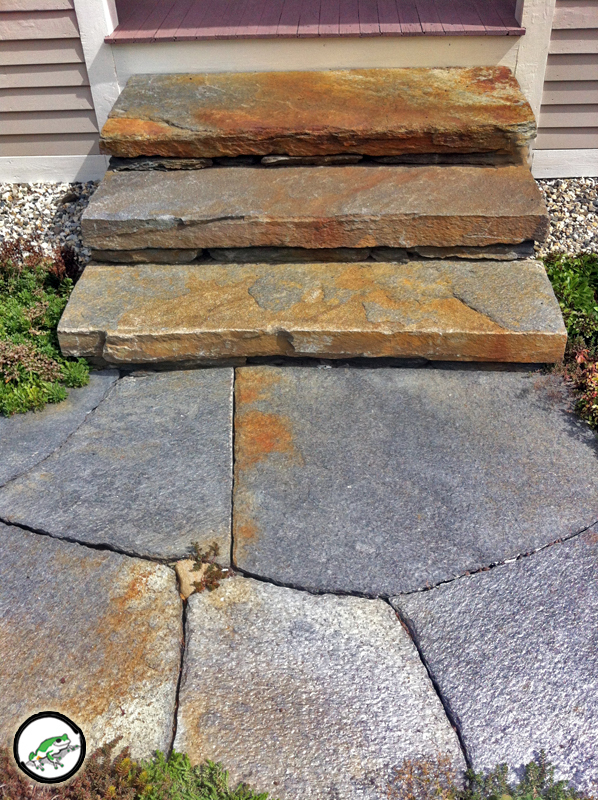 While the old path pointed users to the street, the new Goshen stone paths are oriented for real use around the yard. 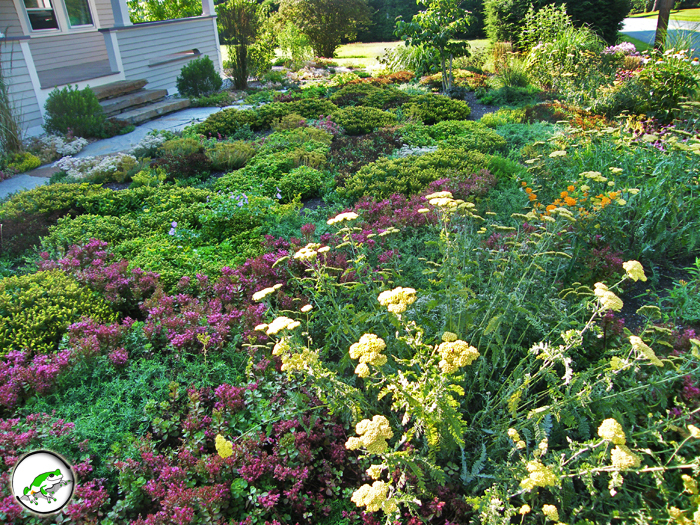 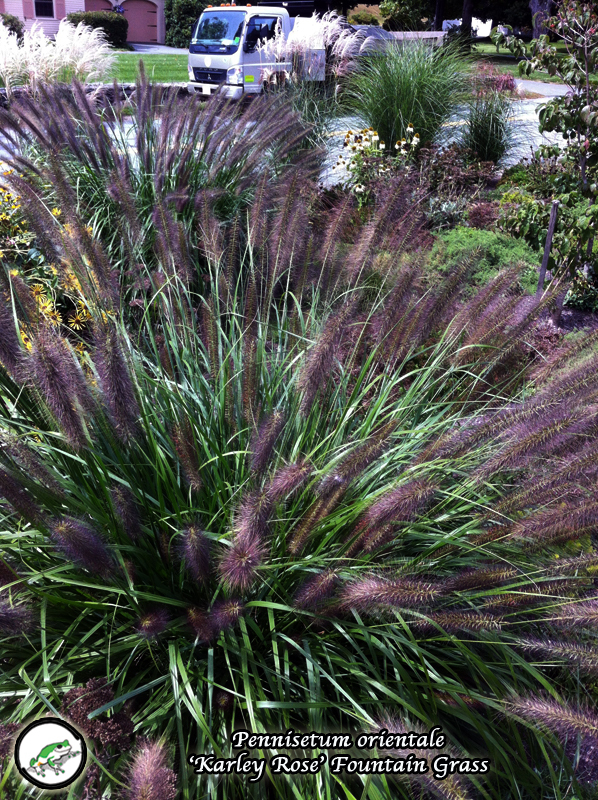 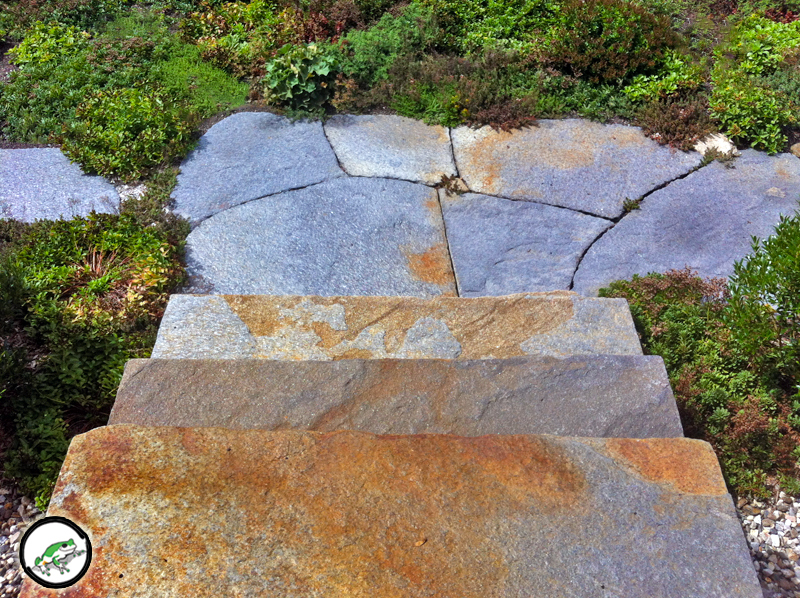 The site is full of vibrant color and texture the entire season. 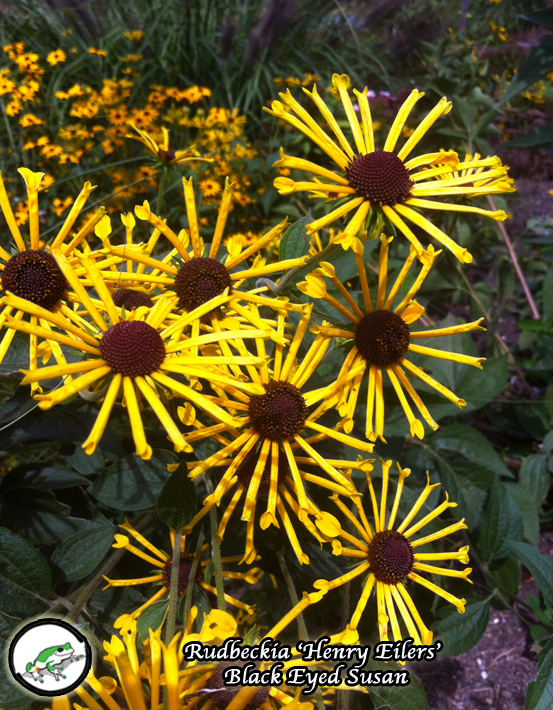 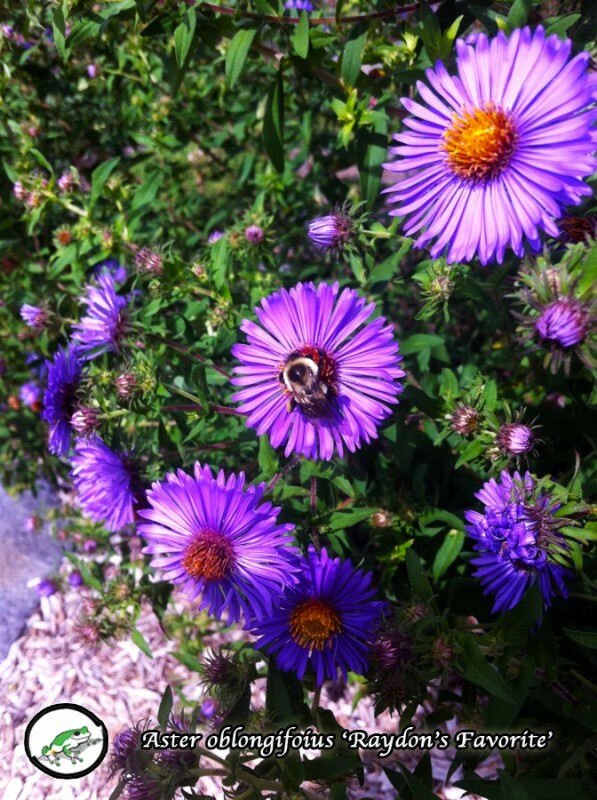 From peak bloom time in the summer through fall the garden hums with pollinators such as bees and butterflies. 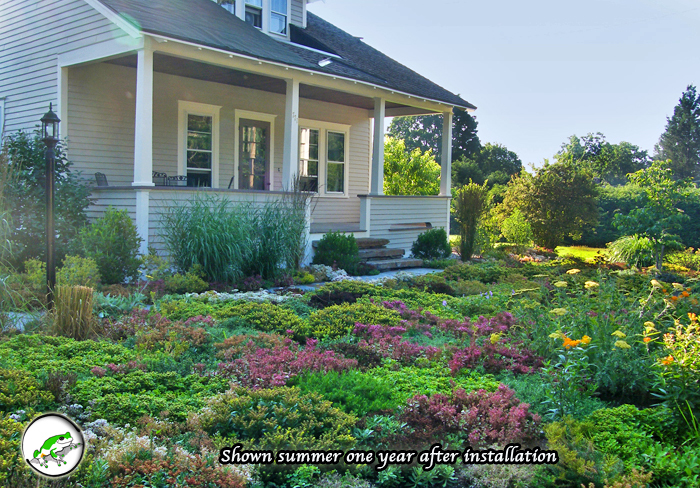 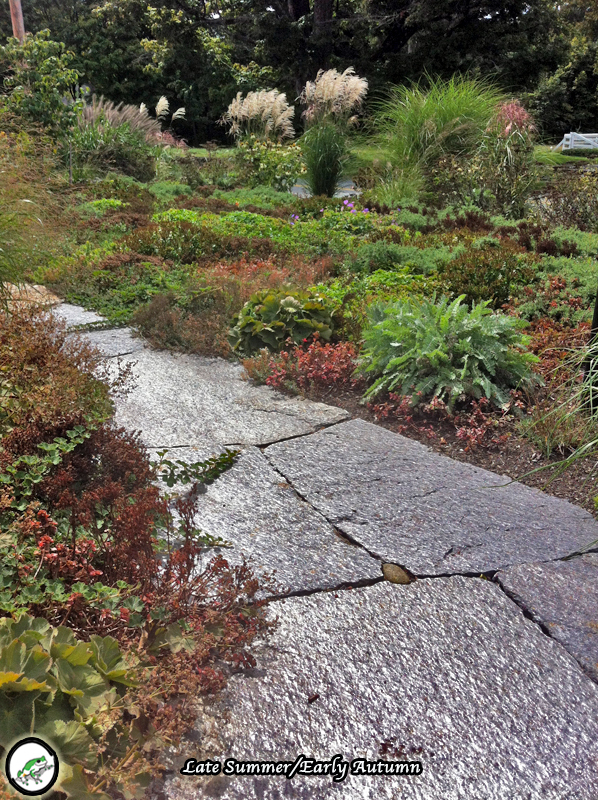 Where a lawn once struggled due to sandy soils and the elemental onslaught of sun and street, a low-maintenance, regenerative system now thrives and gives back to all who might walk (or fly) by.